for $659,000 with 3 bedrooms and 1 full bath. This home was built in 1930 on a lot size of 75x100. Breathtaking Waterfront Views and Sunsets!! 75 feet of water frontage. Spectacular views from the windows. Hardwood floors, fire place, fish pond, large yard and driveway. 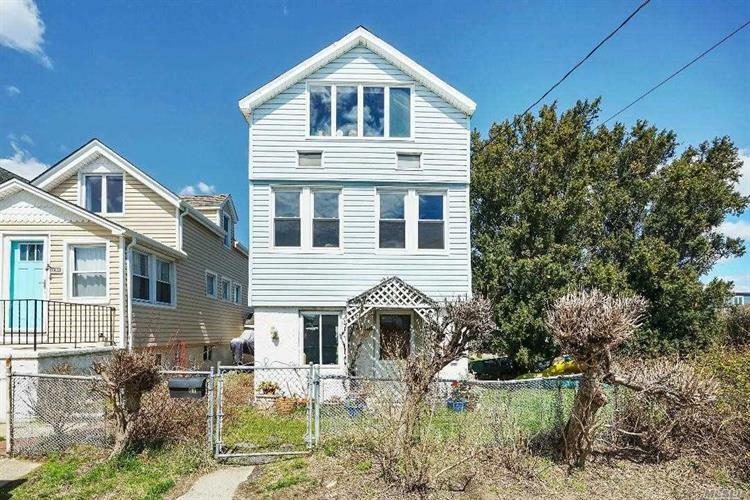 Walk to parks, tennis, library, Gateway National Park, express bun to Manhattan, Ferry in Rockaway and 20 minutes to JFK.